I received a letter from Lodsys demanding I respond in 21 days. Do I have to? A demand letter is not a lawsuit. In other words, if you’ve only received a letter, Lodsys has not sued you, so you have no legal obligation to respond. The letter does serve to “put you on notice” of Lodsys’ patents – which means that if you are found to infringe, a court may also find you “willfully” infringed. A willful infringement (unlike an unknowing infringement) can lead to increased damages. One way to think about it is that the letter started the “damages clock” ticking, should you actually end up in court. Lodsys claims my use of in-app purchase and upgrade feature infringes its patents, but Apple, Google, or another third party provided that technology to me. Can I just tell Lodsys that? You can, but it won’t help. Lodsys claims that Google and Apple already have licenses to use its patents, which Google and Apple apparently negotiated with the patents’ former owner, Intellectual Ventures. Unfortunately, using the technology opens you up to potential liability for infringement. The good news is that Apple’s and Google’s licenses covering the Lodsys patents might also cover your use, too. The bad news is that that question is currently before the court and might not get definitively answered for years. Why isn’t Apple or Google paying for my defense? What is Apple’s Motion to Intervene all about? What is Google’s Request for Reexamination all about? In August, Google filed a Request for Inter Partes Reexamination with the Patent and Trademark Office on the two patents Lodsys is asserting against app developers. A reexamination is a proceeding before the PTO, brought by a third party to challenge the validity of a patent. Reexams offer a process that is much cheaper, and quite often much quicker, than litigation in federal court. The PTO has agreed to consider some of Google’s arguments, but Lodsys will have the opportunity to make its case as well. It will likely take at least a year (not as long as litigation) to get a decision from the PTO – and then, it is unlikely that the patents will be fully invalidated. Much more likely, the claims will be narrowed. If that happens, they remaining claims may or may not cover the in-app payment and upgrade functionality that Lodsys claims they currently do. What if Google’s reexamination changes the patents after I’ve taken a license or settled with Lodsys? If you’ve taken a license or settled, the terms of that agreement will govern. So if the patent claims do change, your obligations under your settlement or license likely will not (unless the license provides what happens in case the claims change). Will Google’s Reexamination stay the litigation against the app developers? The court could decide to go either way. Since the case is pending in the Eastern District of Texas, it’s less likely that it will get stayed (that district is notorious for deciding not to stay those cases which is one of the reasons that plaintiffs like Lodsys chose to file there). I’m located abroad. Can Lodsys still sue me? As long as your app is for sale in the United States (or has been sold in the United States), Lodsys can sue you for infringement of its U.S. patents. If I sign a license with Lodsys, can it target me again if I release a new and different app? Again, that will depend on the terms of your license. One proposed version of Lodsys license would require that you pay Lodsys (according to the terms of the agreement) for all uses of technology in its four patents and, in exchange, Lodsys will release all claims based on those patents. You might also want to check out the Appsterdam Legal Fund, which you can find information about here. Finally, the law allows that you may represent yourself. We do not advise that, however, especially in a patent case (which is usually particularly complicated litigation). Do app developers who use in-app payments or upgrades actually infringe Lodsys’ patents? Your lawyer will need to answer that question for you. But, unfortunately, it may not matter. 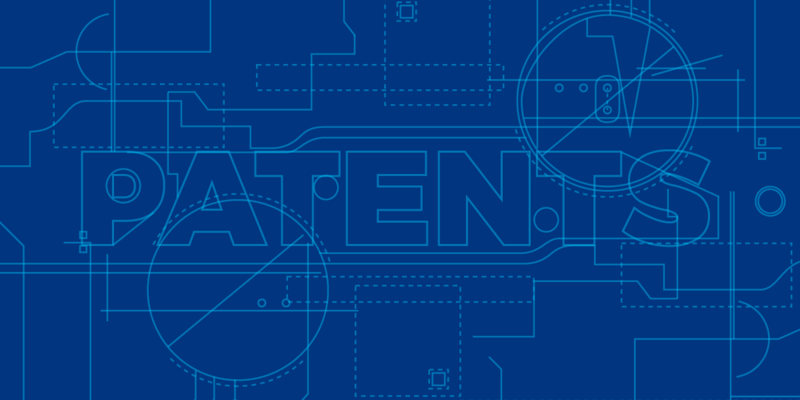 The patent troll business model often succeeds whether or not the underlying asserted patents are actually “good patents” or whether the defendant actually infringes. Instead, the patent troll often tries to extract a settlement (or a license) that costs less than what litigating would, leaving many potential defendants to simply settle the matter. Should app developers band together to fight Lodsys? Yes, absolutely! The only way the economics of fighting back work is if app developers work together. You can also become involved with Appsterdam, a collective of app developers that has a legal foundation set up to help out developers. And above all, help EFF and other digital rights organizations in getting the broken patent system out of the way of innovation. Check back to our anchor page for more advice on this. I am about to release an app for the first time. What can I do to make sure Lodsys doesn’t send me a letter? The only way to ensure Lodsys doesn’t send you a letter is to not use in-app upgrades or payments. Unfortunately, that’s not a great solution for many. To be clear, just because you do use in-app payments or upgrades, it does not mean that Lodsys will target you. The Lodsys patents expire next year. Should I just wait until that happens? No. Patent owners can sue for damages that occurred during the life of the patent for up to six years after that patent has expired. You may choose to ignore the letter from Lodsys for other reasons, but it should not be because the patents will expire soon.